This Hill Park Estate has a limited number of homes for sale in such a central position. 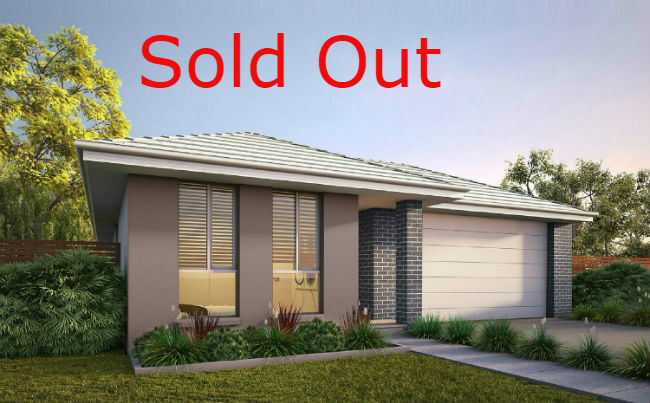 Within walking distance from the newly up-graded Schofields Train Station and the recently completed Woolworths shopping centre, this is an opportunity to buy a superior house and land package in a location with a prized village ambiance. 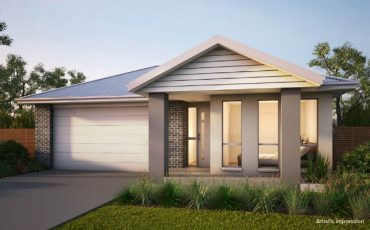 The project is part of the exciting Schofields Regional Development Zone with the added advantage of well-connected arterial roads close by, significant local amenities, Including new schools and access to the nearby university campus. Schofields is a suburb of Sydney, in the state of New South Wales, Australia. Schofields is located 45 kilometres west of the Sydney central business district, in the Blacktown local government area; part of the Greater Western Sydney Set minutes from Schofields Train station and Schofields Town Centre, the site is surrounded by other amenities such as 20 schools and education centres, Rouse Hill Town Centre, Western Sydney University Stone Cutters Ridge Golf Club and Sydney Business Park. 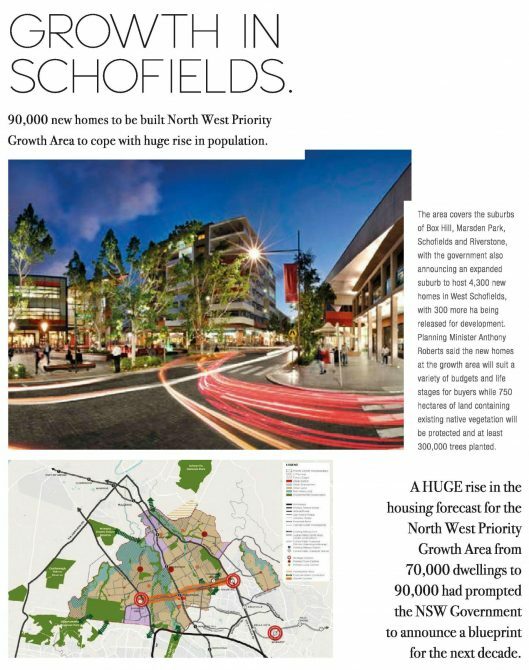 The Schofields Precinct covers 465ha and is located in Sydney’s North West Growth Centre. Plans include 3,300 new dwellings, a primary school, high school, sporting fields and other support facilities. The Precinct is served by Schofields Station & in future will be linked to the North West Rail via Cudgegong Road Station. The Farm Road Estate is a short walk from the recently upgraded Schofields Station and a brand new Woolworths and BWS. An already established neighbourhood, Schofields boast shops and transport connections close by. 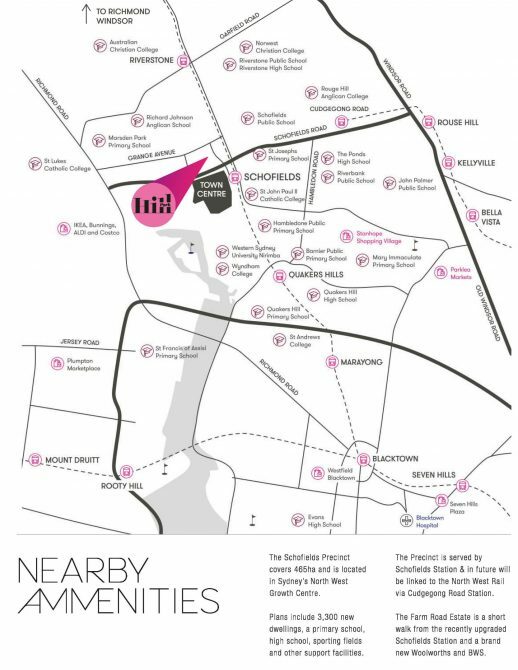 Residents can walk to Schofields train station and the new local shopping village and The Rouse Hill Town Centre is only a short minute drive away. The North West Rail Link can be access via Cudgegong Station with plans for a 1000 space commute car park. The area also is just a 10 minute drive to both the M7 and M2 Motorways. 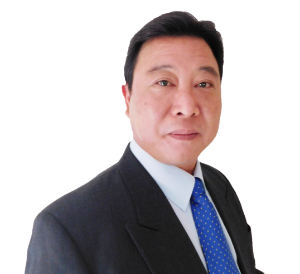 The area is serviced by excellent education options including a university. 90,000 new homes to be built North West Priority Growth Area to cope with huge rise in population. The area covers the suburbs of Box Hill, Marsden Park, Schofields and Riverstone, with the government also announcing an expanded suburb to host 4,300 new homes in West Schofields, with 300 more ha being released for development. Planning Minister Anthony Roberts said the new homes at the growth area will suit a variety of budgets and life stages for buyers while 750 hectares of land containing existing native vegetation will be protected and at least 300,000 trees planted. 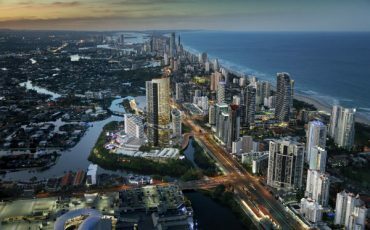 A HUGE rise in the housing forecast for the North West Priority Growth Area from 70,000 dwellings to 90,000 had prompted the NSW Government to announce a blueprint for the next decade.